Go to the Dashboard tab and click the menu icon. 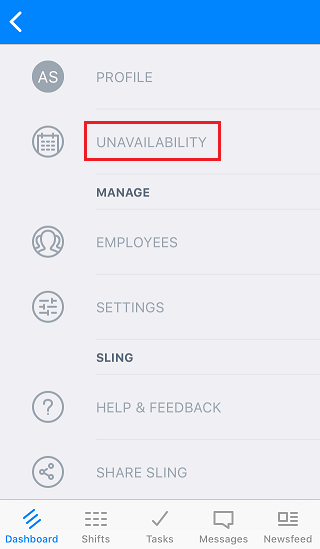 Select Unavailability from the list. Click the (+) at the top right corner to add a set. 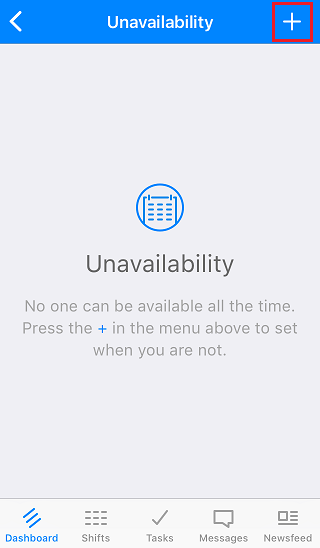 Enter the details of your unavailability. 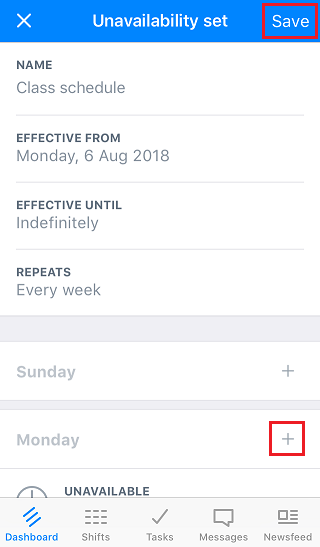 You can name the set (here it's been called "Class Schedule"), set the start and end date, select the repeat frequency, and choose days and times. 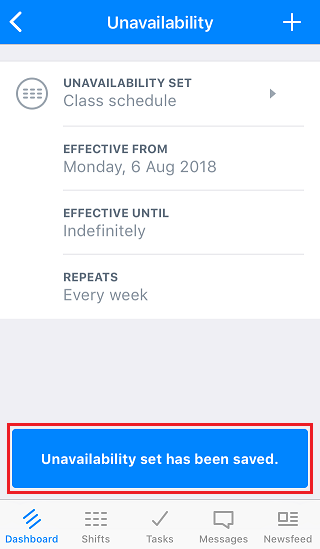 If you don't want the set to repeat, simply set an end date in the "effective until" field, and you will only be marked as unavailable on the schedule for the date range selected (even though the repeat menu shows the "weekly" repeat option). 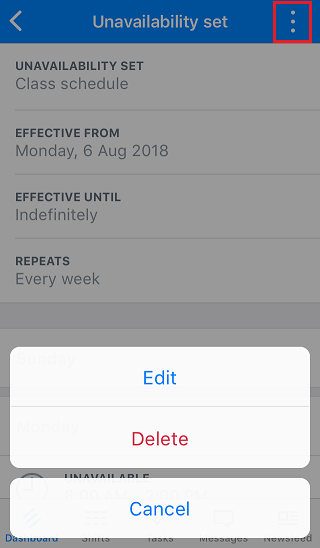 To add info for certain days, click the day and you will see options to block of the full day or select a block of time. Click Save at the top right when you're done. 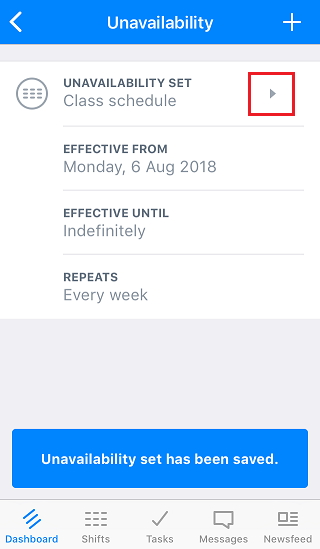 You'll get a confirmation message at the bottom of the screen, and you will see the new set listed in your unavailability. If you need to make changes or delete a set, click the small arrow to the right of the set name. 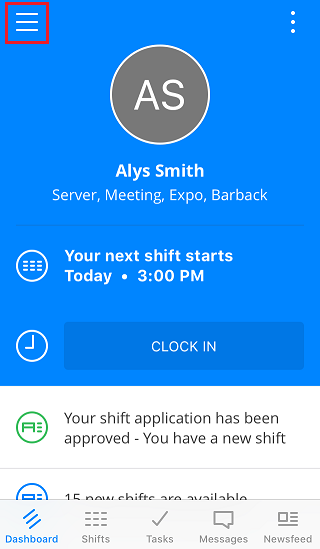 From the set details, click the options button (3 dots) and choose Edit or Delete. If you need to add another set, just click the (+) at the top right and you can create as many as needed.